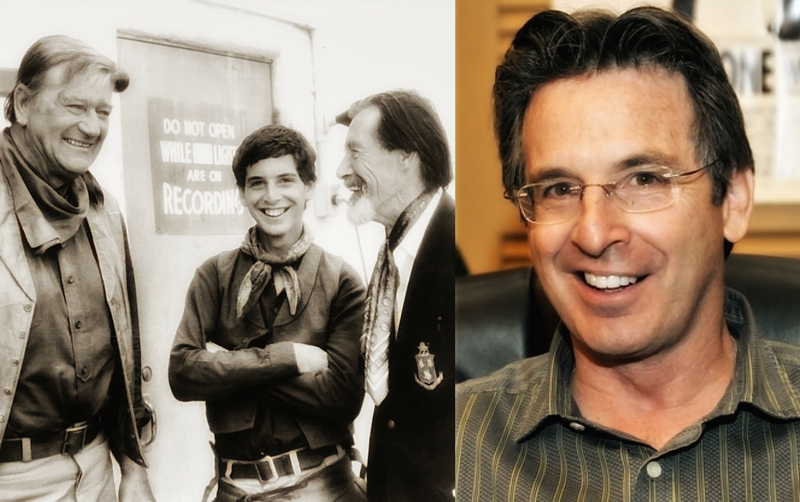 Just when we didn’t think it could get any better, we learned this week that actor Robert Carradine will be joining us for our 10th Anniversary John Wayne Birthday Celebration. Carradine, of course, starred as one of the young waddies who went up the trail with John Wayne in The Cowboys (1972). Among his countless other screen roles, he also appeared with his brothers David and Keith in The Long Riders, alongside Lee Marvin in The Big Red One and, so memorably, as geeky Lewis in Revenge of the Nerds. Robert’s father, John Carradine (pictured here with his son and John Wayne on the set of The Cowboys) famously shared the screen with Wayne in such classics as Stagecoach, The Man Who Shot Liberty Valance and The Shootist.